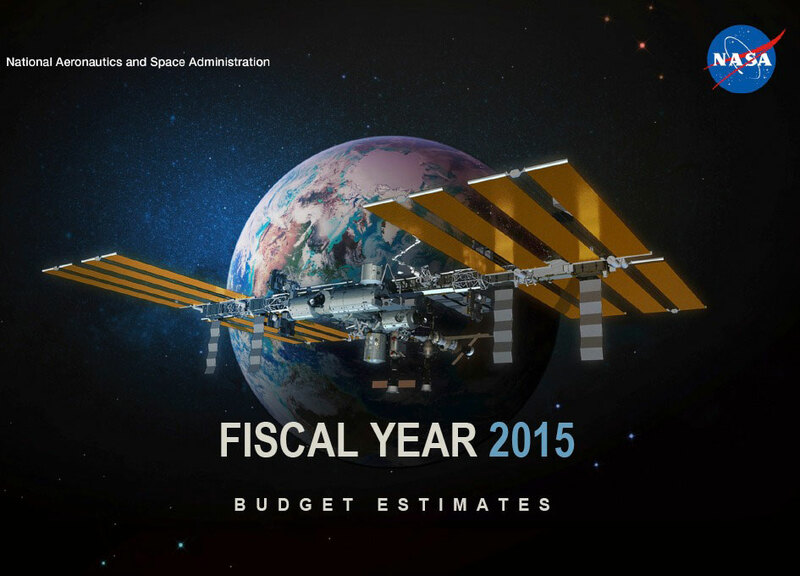 NASA FY2015 Budget Requests $848M for Commercial Crew. 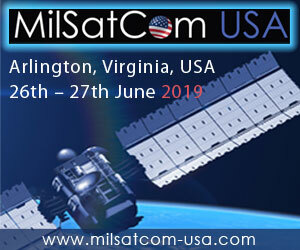 Bolden said "budgets are about making choices, and let me clear about one thing, the choice here is between fully funding the request to bring space launches back to the U.S. or continuing millions in subsidies to the Russians, it's that simple. The Obama administration chooses investing in America. We believe Congress will choose this course as well." On a day where tensions in Ukraine's Crimea only slighted abated, hammering on Congress about the choices they've made with respect to funding Commercial Crew budgeting in past years seemed appropriate. But was anybody listening? Click on image for larger version. Source: NASA. 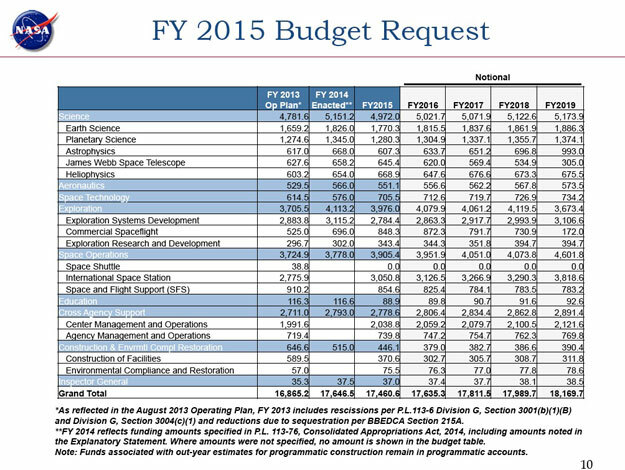 NASA's FY 2015 budget request is for $17.461 billion with $848 million allocated to the Commercial Crew program. According to Bolden if Congress funds Commercial Crew at this level it should be enough to see competition through the next phase which is set to begin this fall. This is of course is sweet music to the companies involved. SpaceX, Boeing and Sierra Nevada all stand to benefit if they can get funding in the next round. Should the Commercial Crew funding be approved at the requested level and outyear funding materialize, then the first Commercial Crew flight would happen in 2017. 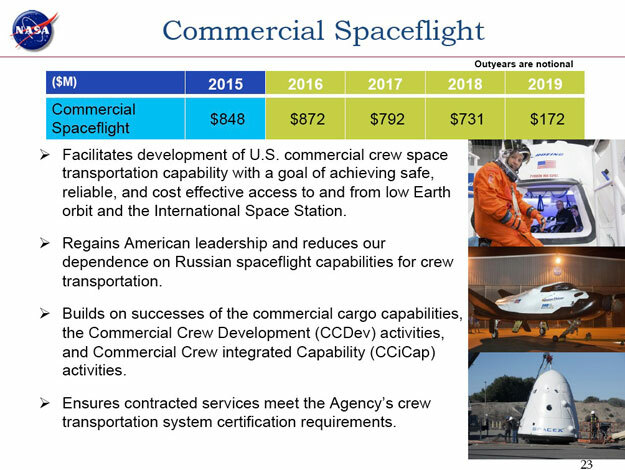 Commercial Crew could also be the beneficiary of the Opportunity, Growth, and Security Initiative which replaces half of the sequestration cut for 2014. 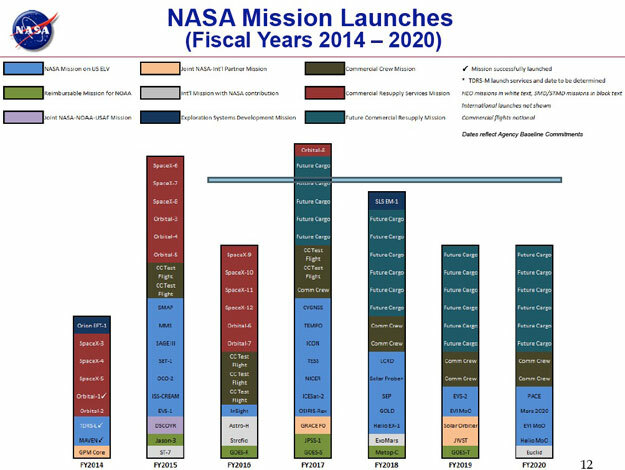 NASA's share of the initiative is $885 million of which $250 million could be allocated to Commercial Crew in addition to the $848 million request. Commenting on the budget request Commercial Spaceflight Federation President Michael Lopez-Alegria said "with the proposed budget, the Administration continues to communicate the importance of having a strong national space program that can further our presence in space and benefit life here on Earth. We applaud the robust support for Commercial Crew and Space Technology which will strengthen our space industrial base, and secure the nation's place as a leader of exploration and innovation. We look forward to working with Congress to achieve the highest levels of funding for these critical programs." 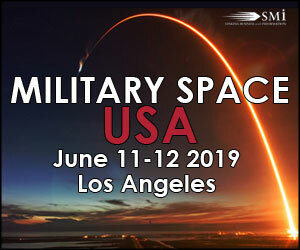 The Space Foundation's Chief Executive Officer Elliot Pulham said "the increase of funding for commercial crew programs from $696 million in FY14 to $848 million in FY15 could not come at a better time, Soyuz prices are set to increase yet again, and our dependence upon Russia for key space capabilities is certain to be scrutinized in view of world events." 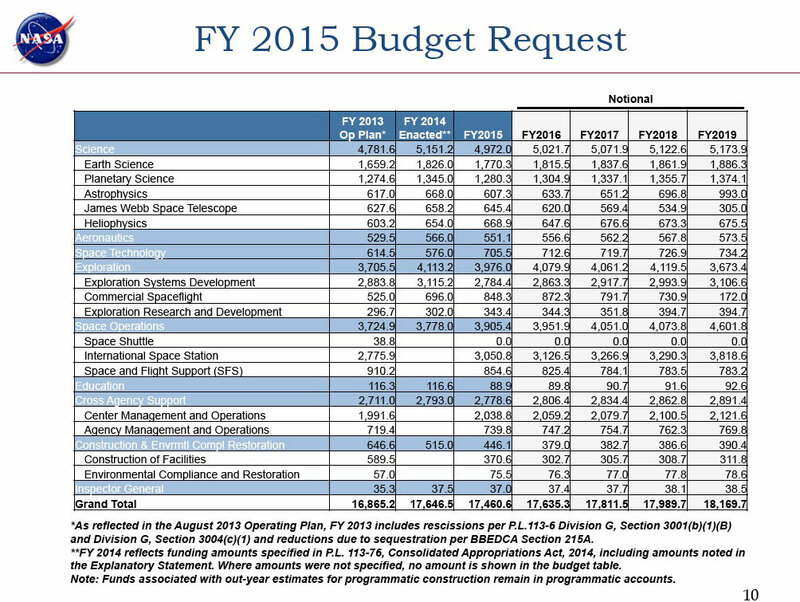 NASA's FY 2015 Budget Justification document is not available yet. It provides detailed descriptions of each request. 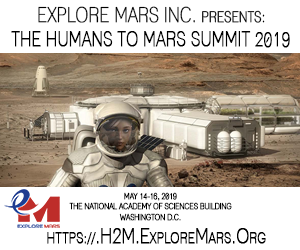 During the teleconference NASA's Chief Financial Officer Beth Robinson said it would be available later this week or early next week.